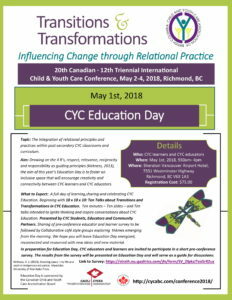 We have exciting news to share with CYCABC members and Conference guests! 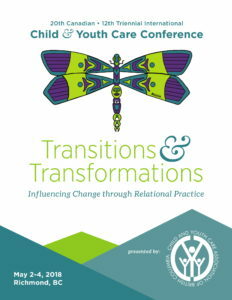 Our ‘FINAL’ schedule for our May 2-4 Conference (Transitions & Transformations: Influencing Change through Relational Practice) has now been finalized and is available for viewing on our website! 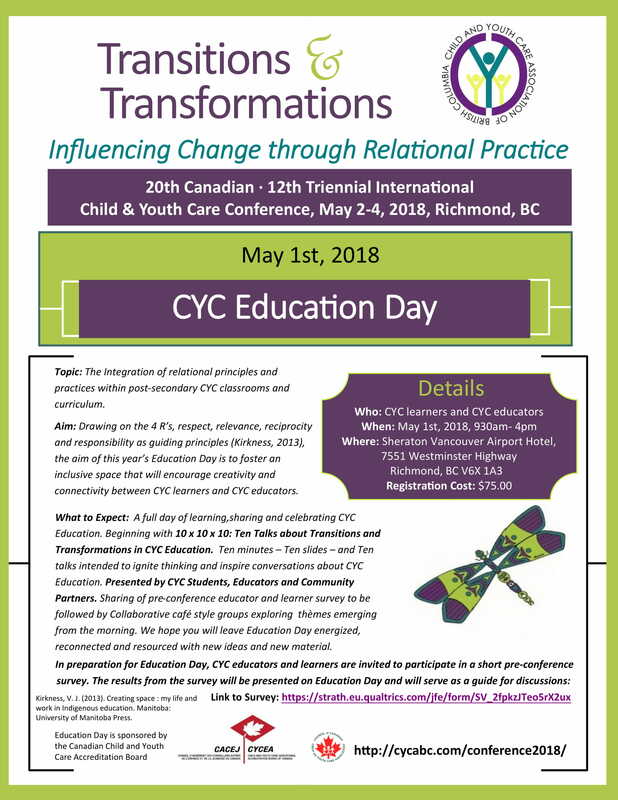 Please see below for posters and links to additional Conference info. We look forward to seeing you in just over one month!